On Thursday 16 August, the examination boards will be releasing GCE A Level and other Level 3 results. The CIEA hopes that all candidates achieve results that reflect their achievements and we congratulate all students on what for so many is an important stage in their development. We also recognise and thank the thousands of examiners, markers and awarding body personnel for their hard work and professionalism. For most candidates, their results will see them successfully on to the next stage of their chosen paths, but for some there will be disappointment. In cases where students receive results below their expectations, school and college staff will be on hand to guide them on their future options. The university clearing system will be a key resource for any student who didn’t meet the conditions of a university offer. Clearing is the system used by universities and colleges to fill any places they still have on their courses. It's an ideal way to find another course. You can find courses (with vacancies) that interest you, and contact the university or college directly, to see if they will offer you a place. More information can be found on the UCAS website. Of course it might be the case that students are awarded grades that they believe may not be accurate. Whilst awarding bodies make every effort to prevent such circumstances, in a minority of cases it does happen. The first thing to do here is to discuss the situation with teachers or school or college representatives as soon as possible. 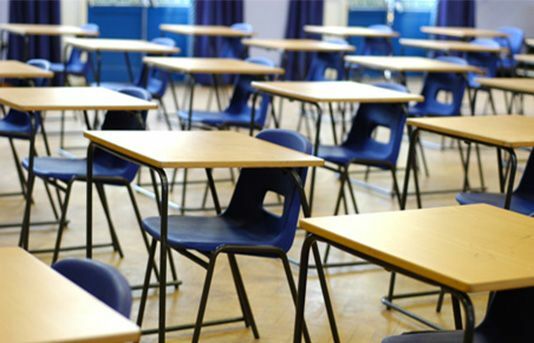 If they agree that there might be case to question the grade, the awarding bodies offer a range of post-results services ranging from requests to see candidates’ scripts through to re-marking, re-moderation or ultimately appeals. These services must be accessed through the school or college and must have the candidate’s approval as results can go down as well as up. It is essential that any post-results services are accessed as soon as possible as there are cut-off dates for the various services. For full details of the process, the timetable and awarding body contact details, see the Joint Council for Qualifications guidance. This can of course be a challenging time for students, but schools and colleges should be able to provide emotional support. However, for students who may not wish to discuss their circumstances with their teachers, Childline offers a free and confidential service to help them deal with their results. Find out more at Childline.